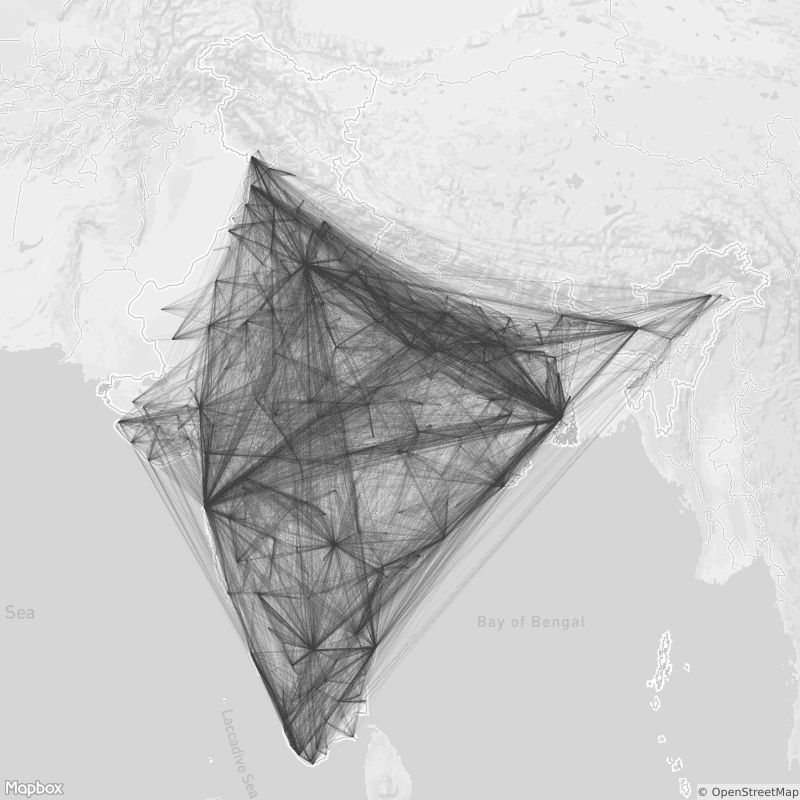 Over the last few months, Sanjay and I have been gathering data about the Indian Railways. We started with an interest in schedules and worked off of some old data that Sanjay had. We spent several weekends experimenting, gathering and verifying a lot of the data out on the Internet, and we are super happy to put all of this out for everyone to use. Trains, routes, stations. Click to view interactive map. Reachability map – all destinations you can get to from a station, without switching. Click to view interactive map. We found this an interesting experiment and a great opportunity to learn about one of the largest railway systems in the world. You can read more and download the data here, and drop a line to me (hello@sajjad.in) or Sanjay (sanjaybhangar@gmail.com) if you have questions. If you find something obviously wrong, open a ticket, or make a pull request.